Welcome!. To Bill's Trolley Pages.. The following pages are dedicated to Trolley and Street Railway Companies that exist, had existed or were planned but never came to be in SW Pennsylvania, Western Maryland, West Virginia and Eastern Ohio. This web site will trace the history of Trolley/Street Railway Companies with pictures of remnants of those system that still exist today, and include links to web sites/pictures of what they looked like when trolley's traversed the area. Allegheny, Bellevue & Perrysville Street Rwy. Allegheny, Evergreen & Millvale Street Rwy. Ambridge, Dixmont & Emsworth Street Rwy. Ambridge, Edgeworth & Sewickley Street Rwy. Ambridge, Glenfield & Dixmont Street Rwy. Ambridge, Haysville & Glenfield Street Rwy. Ambridge, Leetsdale & Edgeworth Street Rwy. Ambridge, Osborn & Haysville Street Rwy. Ambridge, Sewickley & Haysville Street Rwy. Apollo, Vandergrift & Leechburg Street Rwy. Braddock, Wilmerding & Pitcairn Street Rwy. Brownsville, Masontown & Smithfield St. Rwy. Butler, Saxonburg & Tarentum Street Rwy. Chambersburg, Greencastle & Waynesboro St. Rwy. Charleroi, Belle Vernon & Fayette City Rwy. Cheswick, North Kensington & Springdale St. Rwy. Connellsville, New Haven & Leisenring Passenger Rwy. Coraopolis, Sewickley & Economy Street Rwy. Dravosburg, Mendelshon & Elizabeth St. Rwy. Fayette County & Belle Vernon Street Rwy. Greensburg & Hempfield Electric Street Rwy. Greensburg & Southern Electric Street Rwy. Greensburg, Jeannette & Pittsburgh St. Rwy. Homewood Avenue & Irwin Avenue St. Rwy. Kittanning & Cowanshannock Valley St. Rwy. Knoxville, Fair Haven & Mount Lebanon St. Rwy. Latrobe, Pleasant Unity & Greensburg St. Rwy. Leechburg, Freeport & Tarentum St. Rwy. McKeesport & East Elizabeth Passenger Rwy. McKeesport & Reynoldton Passenger Rwy. McKeesport, Wilmerding & Duquesne St. Rwy. Monaca, Aliquippa & Coraopolis Street Rwy. Monongahela, Emsworth & Washington St. Rwy. North Washington & Meadowlands Street Rwy. Pittsburgh & Homestead Electric Street Rwy. Pittsburgh & Mount Washington Street Rwy. Pittsburgh, Banksville & Mt. Lebanon St. Rwy. Pittsburgh, Braddock & McKeesport St. Rwy. Pittsburgh, Carnegie & McDonald Street Rwy. Pittsburgh, Crafton, & Mansfield Street Rwy. Pittsburgh, Harmony, Butler & New Castle Rwy. Pittsburgh, Hill Top & Castle Shannon St. Rwy. Pittsburgh, McKeesport & Canonsburg Rwy. Pittsburgh, McKeesport & Connellsville Rwy. Pittsburgh, McKeesport & Greensburg Rwy. Pittsburgh, McKeesport & Westmoreland Rwy. Pittsburgh, Monongahela & Washington Rwy. Pittsburgh, Neville Island & Coraopolis Rwy. Tarentum, Brackenridge & Butler Street Rwy. Waynesburg & Ten Mile Valley Street Rwy. West Brownsville Jct. & California Street Rwy. West Brownsville & Washington Street Rwy. West End, Banksville & Mt. Washington Street Rwy. West End, Mt. Washington & Banksville Street Rwy. NOTICE: Pictures contained on this website come from various sources. Credit to the original photographer will be given on the reference page when known. If anyone sees a picture with out the proper credit or an incorrect credit is asked to email the correct information to me. 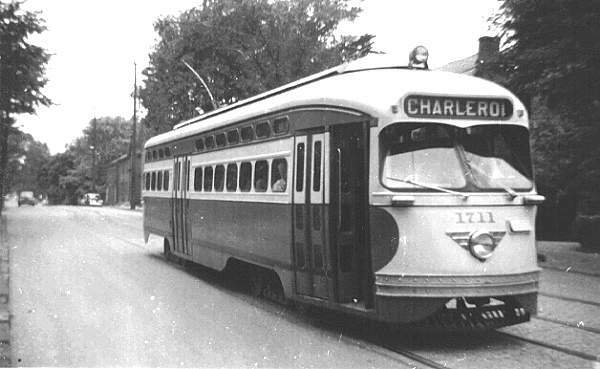 This site is non-commercial and presented as the websites owner desire to document the subject area and to preserve the streetcar heritage.